Experimental setup for multiple-readout gradient echo memory (GEM) experiment. 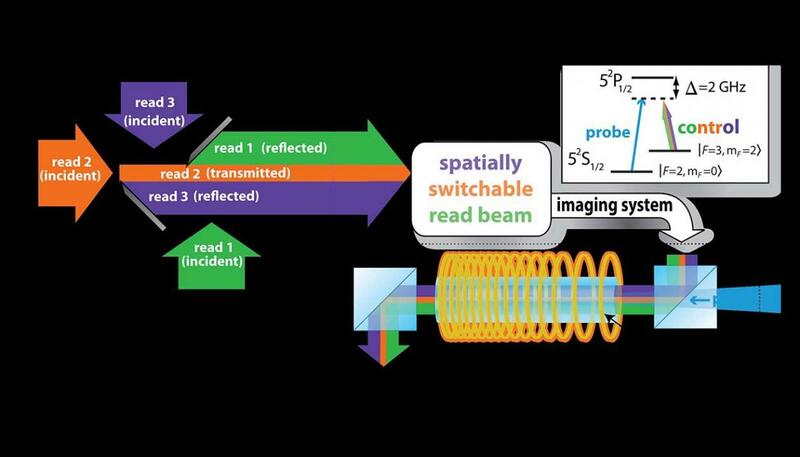 The three read beams are combined using edge-coated mirrors and imaged into the memory cell. The probe and control beams are combined usinga polarizing beam splitter (PBS). Inset: The rubidium energy levels involved in the absorption of the control and probe (image) beams. (Illustration credit: NIST).